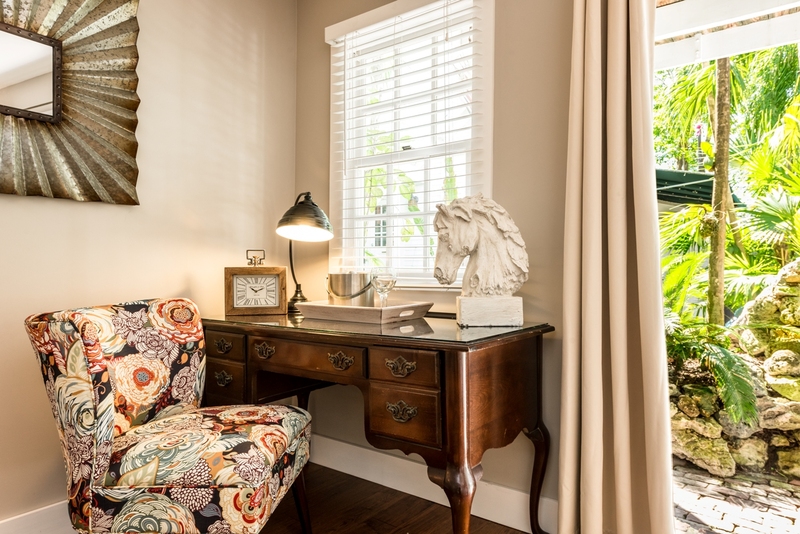 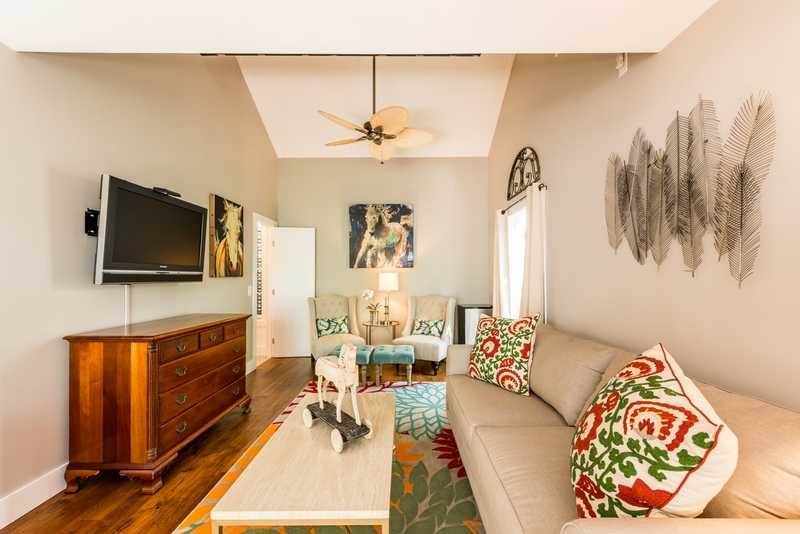 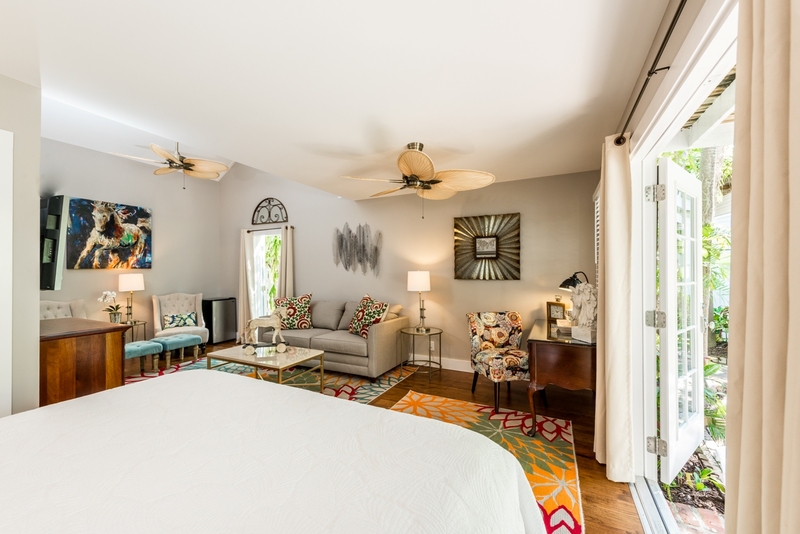 The newly renovated Saratoga Suite is the most spacious room at our Key West bed and breakfast, featuring a King bed and comfortable seating with a pull-out sofa. 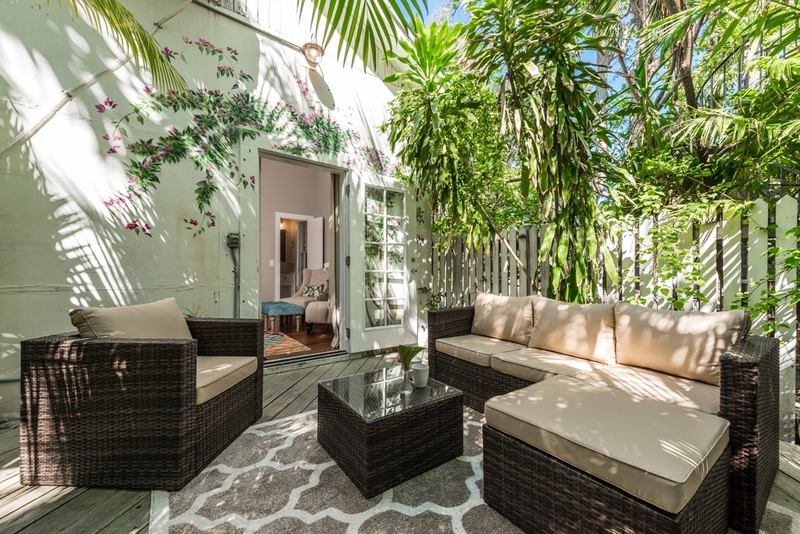 A private patio offers a comfortable sofa and deep-seating chair. 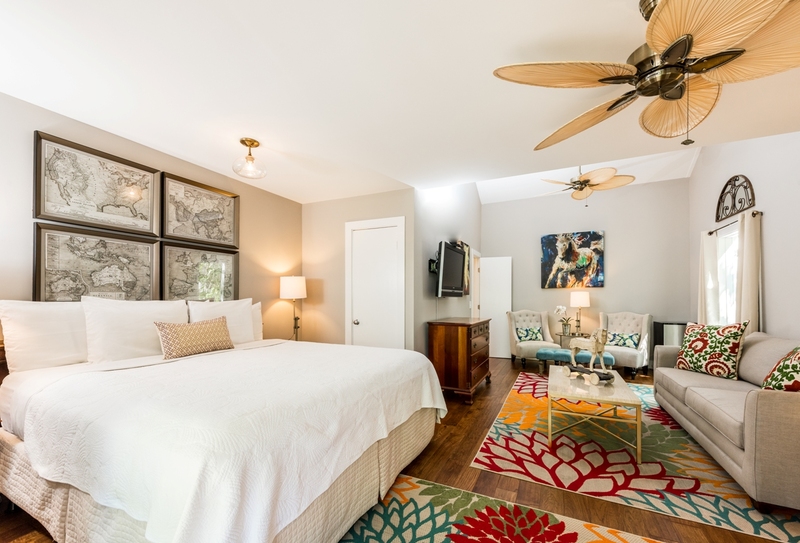 Perfect for 2 people or for 3-4 close friends and family traveling together, the Saratoga room provides spacious Key West lodging and privacy. 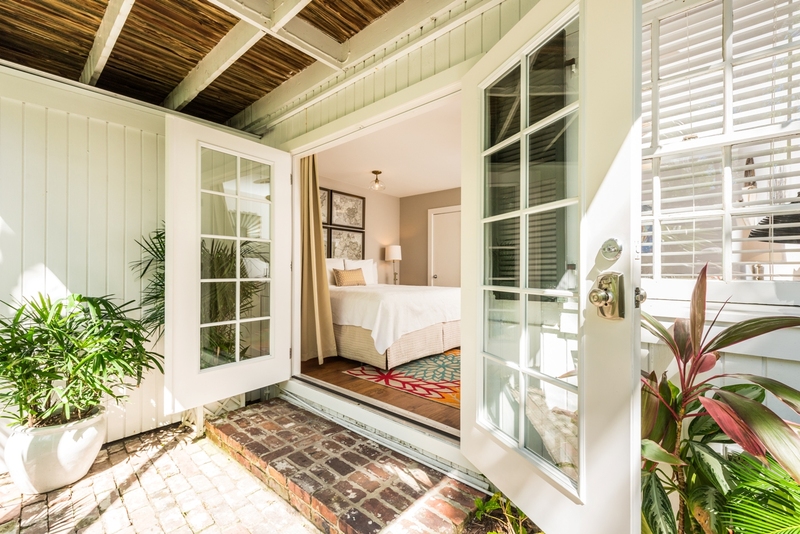 This superior king suite is located in the Carriage House at the back of the property and features french doors that open to the historic tropical gardens. 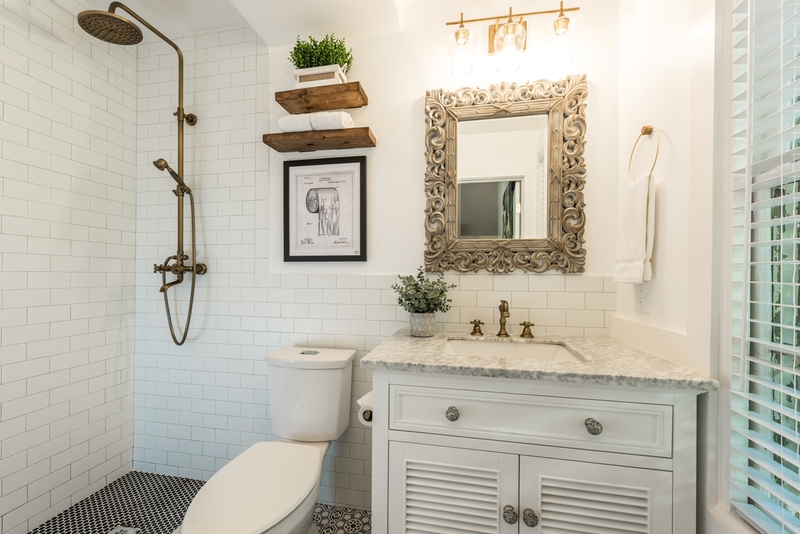 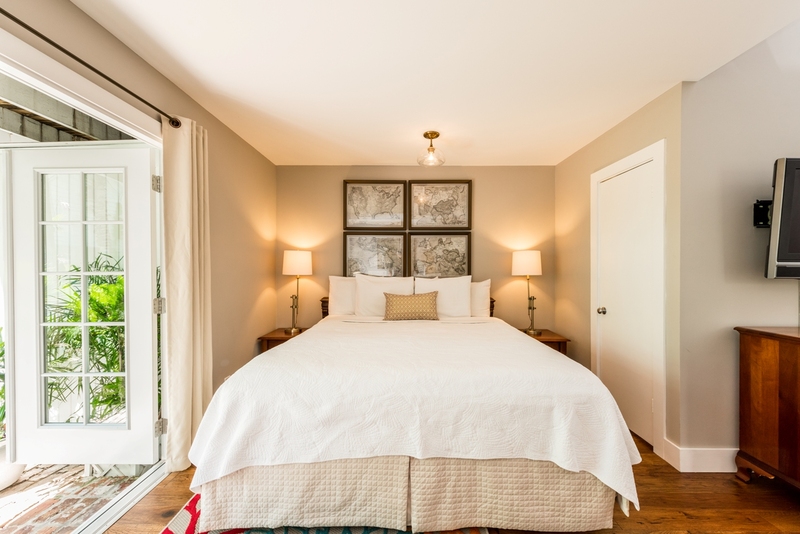 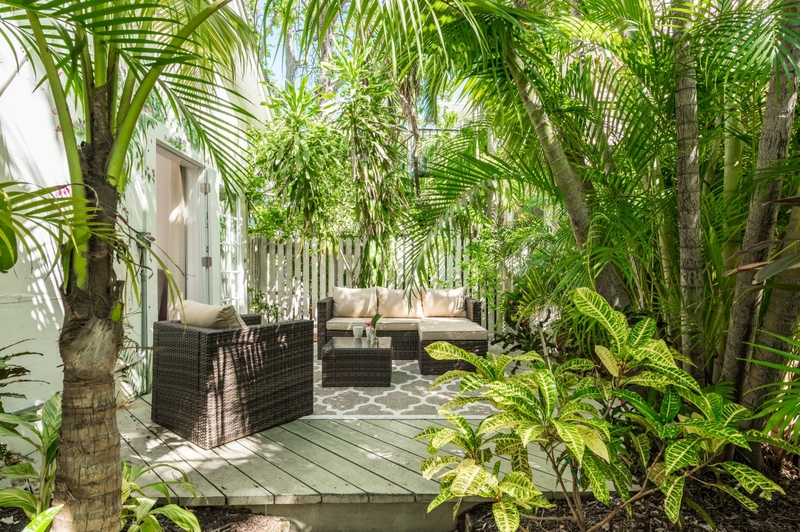 A separate entrance is located on the side of the room and opens up to your private patio. 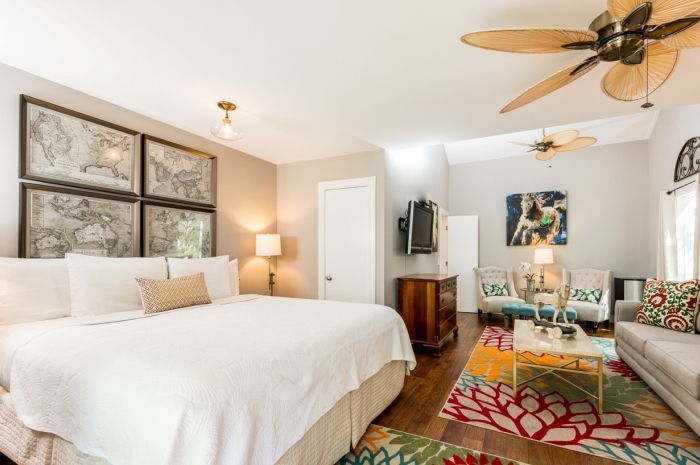 Also pet-friendly, you’re 4 legged pooch will have plenty of space! 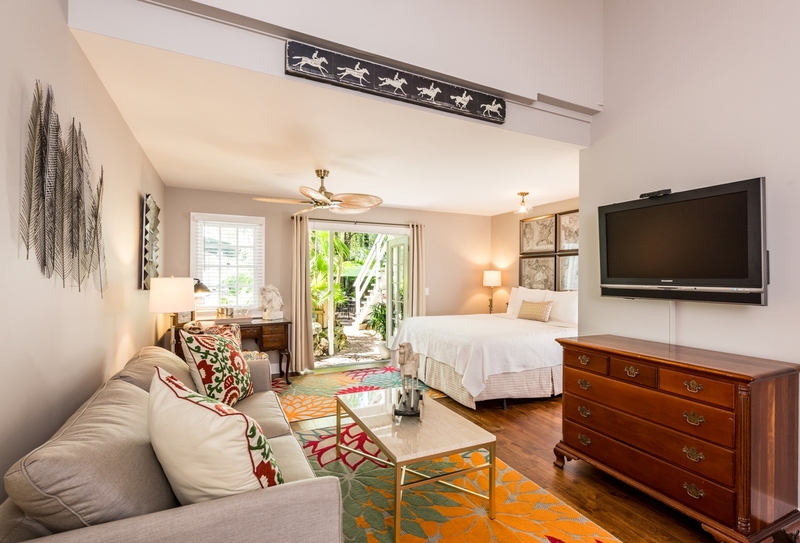 Book the neighboring Courtyard room for your friends looking for top-rated Key West lodging!